Superb detail, intelligent engineering to ease assembly, intelligent use of photo etched parts, subtle rib representation, scale booms, accurate outline, and decals in perfect register. 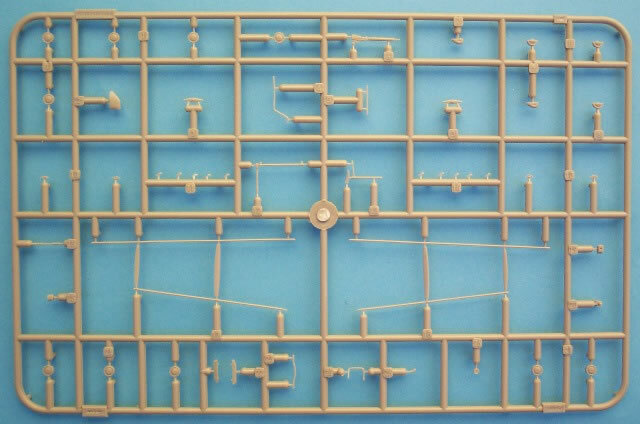 An excellent kit of a traditionally complicated subject. 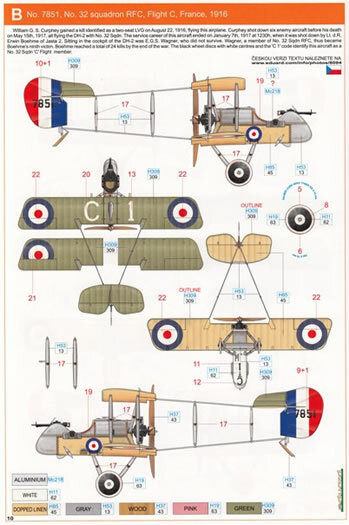 First-class detail and clever parts breakdown make this one of the best WWI aircraft kits in this scale. 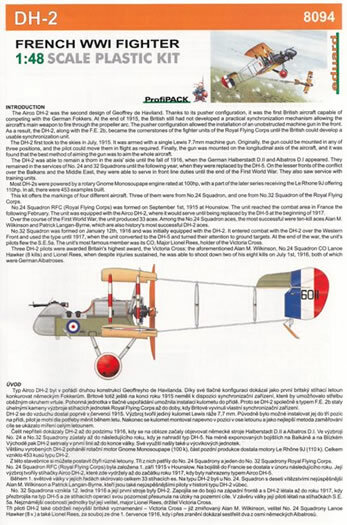 We first saw Eduard’s 1/48 scale release of the Airco DH2 fighter in 2005, when it set new standards for kits of this type. Despite the passing of time, the same high standards can be seen in this latest “ProfiPACK” release. Upon lifting the lid, we find three sprues of buff coloured plastic. These contain a total of 97 cleanly moulded parts, each with sharp, crisp detail. The only sink mark noted was a very small depression on the compass fairing but this is not a problem as it’s easily filled and sanded. 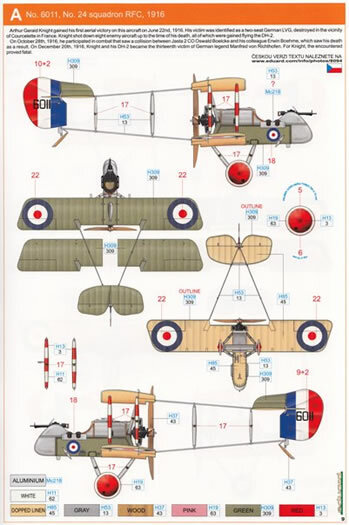 Peter Cooksley and Ian Stair have both produced general arrangement drawings for this aircraft and Eduard’s rendition matches these perfectly. 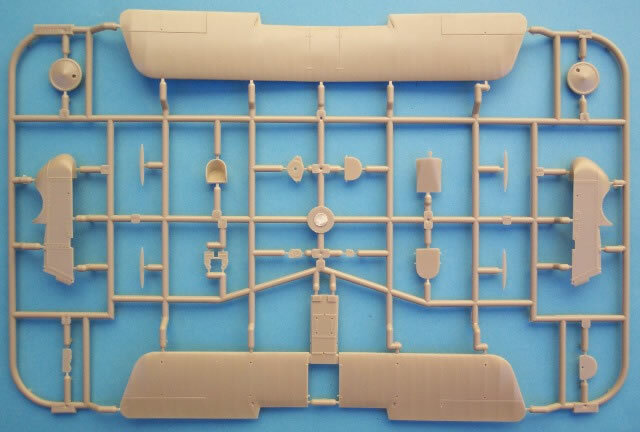 The engineering of the kit is outstanding and aids the modeller every step of the way through what could have been a difficult assembly process. The nacelle is detailed on both sides with an excellent representation of the internal structure to start off the cockpit detailing. The floor is cleverly part of the one piece lower wing to make alignment of these two items a piece of cake. 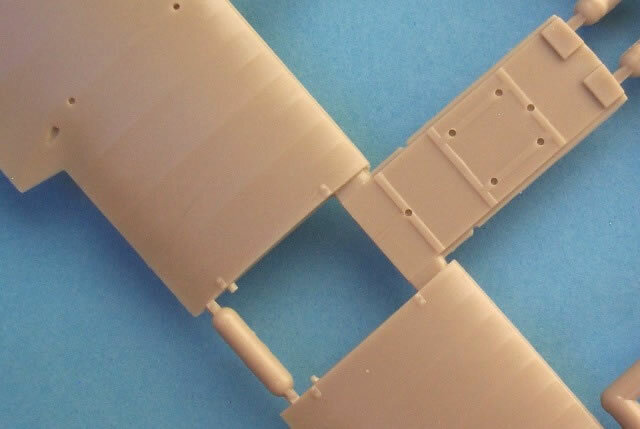 Included in the parts list are early and late nacelle arrangements so you have to make up your mind now as to which option you want to build. 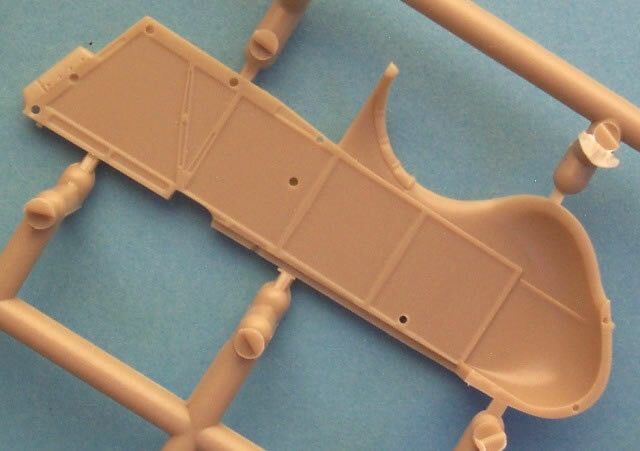 At least half a dozen plastic items contribute to the cockpit with just as many more coming courtesy of photo-etched parts. This fret is not of the coloured variety but does contain some very useful items. We get a seat (with belts), instrument bezels, Lewis drum enhancements, and rudder pedals. Outside the cockpit, this medium caters for the fuel tank straps, engine detailing, control horns, windscreen mount and pulley attachments for the inner struts. As well as the cockpit fare, the nacelles also trap the separate engine mount, and “drip tray” which is then covered by a nicely detailed upper deck. To this is added the 100hp Gnome Monosoupape rotary engine. The main planes have the correct dihedral built into them thus leaving no doubt as to their arrangement. The trailing edges are good although strangely this area is slightly thicker on the starboard lower wing when compared to the others. The rib detail on both surfaces is superb with a subtle representation throughout. To ease the burden of construction Eduard delivers the scale thickness booms with integrated struts. 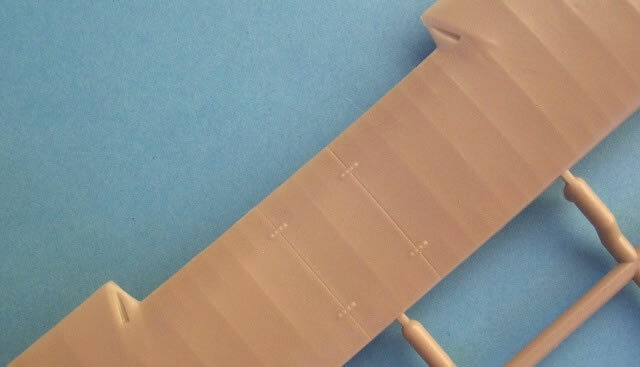 These fit positively into recesses found on the upper surfaces of both wings. This is the only area that will require patience to make sure that everything aligns before applying that fateful application of glue. To this is added the tail assembly and some care is needed to make sure that this squares up to the main structure. To further increase the number of options that can be built from the box Eduard supply the initial 2 bladed Integral DG 40 and later 4 bladed Darracq T.7928 airscrews. 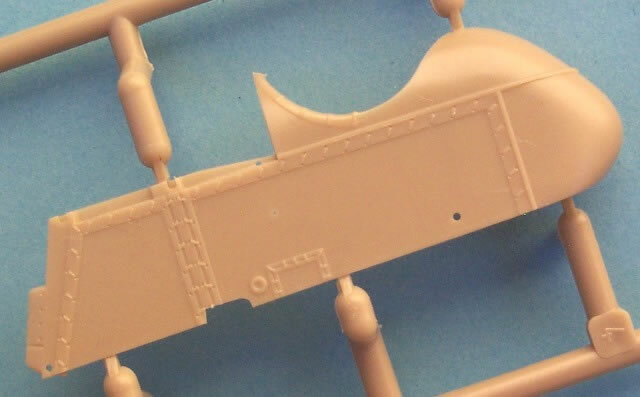 An acetate sheet allows for a scale representation of the windscreen and a handy masking set eases the painting of the propeller sheaths, wheel covers and nacelle “zigzag” scheme. Rigging is a complicated affair on the DH2. 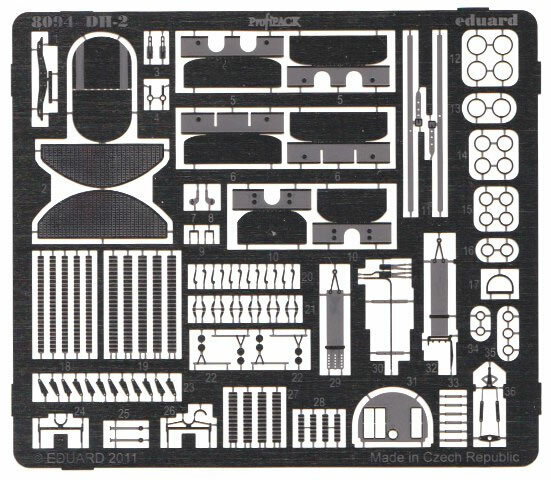 The instruction booklet provides a selection of diagrams for this task and what is shown will satisfy most modellers. The decal sheet is well printed with all items in perfect register and surrounded by a minimum of carrier film. Instrument faces are also be found here as well as the often forgotten AMC logos located on the struts. DH2, serial 6011 No. 24 Squadron RFC, France 1916. 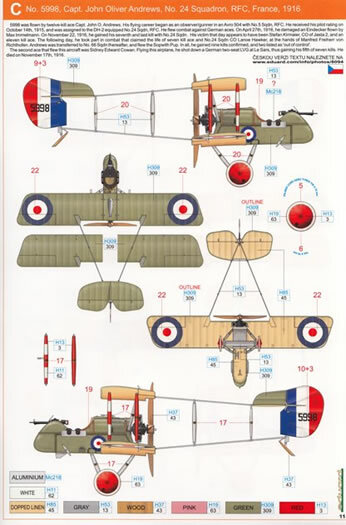 DH2, serial 7851, No 32 Squadron RFC, “C” Flight, France 1916. DH2, serial 5998, Capt. John Oliver Andrews, No. 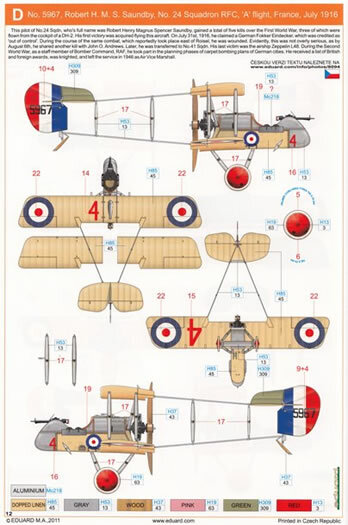 24 Squadron RFC, France, 1916. Traditionally “lattice tails” are not easy subjects to build. The manufacturers of this kit have made it as uncomplicated as possible while still adhering to the demands of reproducing a scale replica. 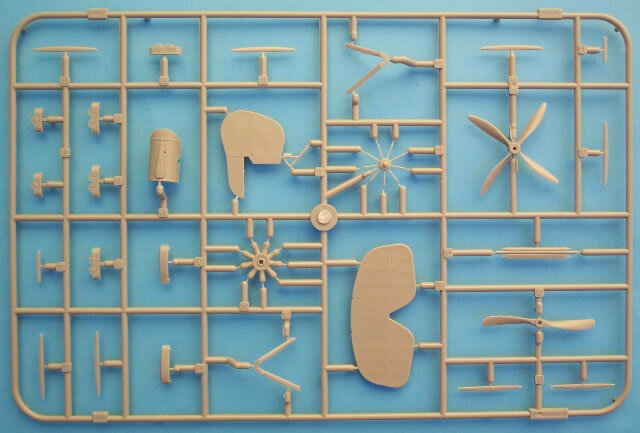 If you don’t want to build the option provided, there are plenty of alternate parts to change the early or late “status” of the aircraft. 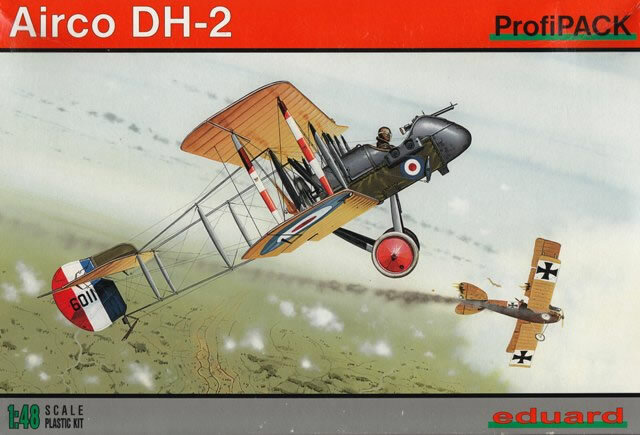 Thus Eduard has put a completed 1/48 scale DH2 within the reach of any modeller that has had some experience constructing biplanes.